Background/Purpose: The ACR recommends herpes zoster (HZ) vaccination prior to use of non-biologic and biologic disease modifying anti-rheumatic drugs (DMARDs) in RA patients and for those currently on non-biologic DMARD therapy. We evaluated the success rate of HZ vaccination or a documented discussion with eligible RA patients and whether it was affected by educational intervention. Results: 91 RA patients met inclusion criteria, 36 in 2014 and 62 in 2015, including 7 duplicate patients (Table 1). In 2014, 25% (9 patients) had a documented discussion or received the HZ vaccine; 22.2% received the vaccine while 33.3% already received it. In 2015, the rate of vaccination or documented discussion increased to 37% (23 patients). 8.7% received the vaccine (23% already received it). The difference in rates did not reach statistical significance. In multivariate analyses, the primary outcome not significantly affected by age, gender, race, year (surrogate for educational intervention), and clinic location. Only individual physician as a factor was significant (p=0.01). Conclusion: Compliance rates were low for HZ vaccine in eligible RA patients despite educational intervention. Based on survey results, contraindication was the top reason for not giving the vaccine (Figure 1). However, 71.6% patients met criteria for vaccination. Ways to improve compliance include innovative use of electronic medical systems, creation of specialty prevention clinics, improved availability of the HZ vaccine, and increased education for practitioners. Additional studies are warranted to explore ways to improve HZ vaccination rates in eligible RA patients. Disclosures: H. Chaudhry, None; R. Ostrowski, None. Disclosure: R. A. Ostrowski, None; H. Chaudhry, None. Ostrowski RA, Chaudhry H. Herpes Zoster Vaccine: A Quality Improvement Study in Rheumatoid Arthritis Patients [abstract]. Arthritis Rheumatol. 2016; 68 (suppl 10). 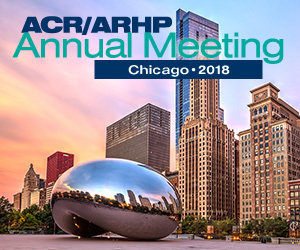 https://acrabstracts.org/abstract/herpes-zoster-vaccine-a-quality-improvement-study-in-rheumatoid-arthritis-patients/. Accessed April 22, 2019.